The Royal Minnow Trap The Royal minnow trap is from Royal Products, Ellington MO. 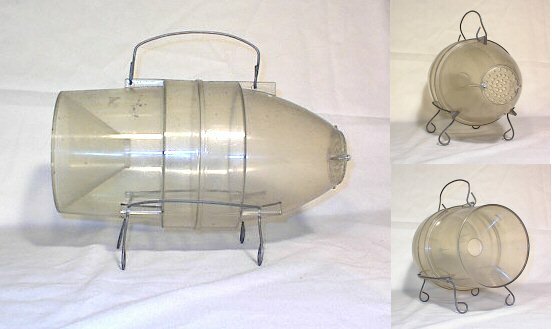 It is about 13" long and 6 1/2 " diameter, and seems to be derived from the Hydro-Jet trap of the 1950s. The Royal trap has been in production for several decades and is still available at sporting goods and bait stores today. There are really two different traps, the difference is what is inscribed in the funnel. The earlier traps are labeled Royal Products, Springfield, MO, the later ones Royal Products, Ellington, MO. This trap is actually a pretty good minnow catcher.